KATO N gauge 24 system Twilight Express Basic 6-Car Set 10-869 FROM JAPAN NEW. New Listing1 - N SCALE Wheels of Time CN wet noodle 73'6" Heavyweight Baggage/Express Car. New Listing1 - N SCALE MICRO-TRAINS 4 car Runner Pack CP RAIL 40' BOXCARS. New Listing6 - N SCALE INTERMOUNTAIN CP RAIL Cylindrical Covered Hopper Cars. New Listing1 - N SCALE ATLAS CP RAIL Thrall 2743 GONDOLA Car. New Listing1 - N SCALE MICRO-TRAINS Weathered SOO LINE 50' Plug Door Boxcar. New Listing1 - N SCALE MICRO-TRAINS 4 car Runner Pack CN 40' BOXCARS. New Listing2 - N SCALE ATLAS TRAINMAN CP RAIL Flat Cars w/ Stakes, w/ micro-trains . New Listing6 - N SCALE HUBERTS CP RAIL Gondola CARS w/ pipe loads. New Listing1 - N SCALE MICRO-TRAINS Canadian Pacific 33' Twin Bay Hopper, w/ Coal Load. New Listing2 - N SCALE ATLAS TRAINMAN CANADIAN NATIONAL c&o Cupola Caboose . New Listing1 - N SCALE ATLAS TTX Union Pacific Articulated Auto Carrier w/ micro-trains. New Listing1 - N SCALE MICRO-TRAINS Weathered ACFX 2-Bay Covered Hopper. New Listing1 - N SCALE Wheels of Time CN wet noodle 60' Arched Roof Baggage/Express Car. 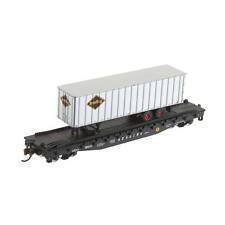 New Listing1 - N SCALE Micro-Trains/ N Scale Collector Northern Mariana Islands 40' Boxcar. New Listing1 - N SCALE MICRO-TRAINS 4 car Runner Pack Canadian Pacific 33' Twin Bay Hopper. New Listing6 - N SCALE HUBERTS CN Gondola CARS w/ scrap loads. Condition is Used. Th is i s a mi nt c on di ti on locomotive. It’s be en s to re d in t he c on ta in er a s se en i n pi cs. W il l be s en t in o ri gi na l co nt ai ne r an d it d oe s ha ve i ns tr uc ti on a s we ll. 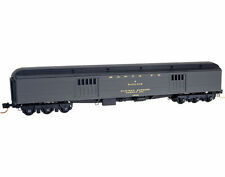 New ListingBachmann Spectrum F7 A&B Great Northern BOTH UNITS ARE POWERED, TESTED, RUNNING! This is an N scale F7 A and B unit set in Great Northern livery from Bachmann in their Spectrum line. The set is in the original box with the paperwork. Both units are powered and both units run fine in both directions. Description: Are you building an Autumnal scene–then "dress" your people in autumnal colour. Make your model railway come to life with these "ready to paint" model people. You can choose which nationality they are and what colour clothes they wear. This pack of 100 people offers a mix of varying genders and positions and is suitable for any scale modeller whether you are an architect,student or model railway enthusiast. allowing you to fit more details and more scale miles into a comparable area. Atlas 48514 GP40-2 Southern Pacific Cotton Belt SSW 7601. Condition is New. Rapido couplers. LIFE-LIKE N SCALE #7114 GP18 NORFOLK AND WESTERN #920 New in Box. Condition is New. Shipped with USPS Priority Mail.Has been opened and tested only, never used. Atlas EMD SR 7 #4515 Chessie System Road 1828 . Condition is Used. Shipped with USPS Priority Mail. MICRO TRAINS LOT OF 2 BNSF 70' Well Cars, Rd # 203017 and 203024. Condition is New. Shipped with USPS Priority Mail Small Flat Rate Box. Walthers Cornerstone N Scale Butterfly-Style Station Platforms #933-3258. I list this as “used” only because the clear shrinkwrap is missing, but the bag of parts has not been opened so it is really brand new. A model railroad layout brings trains, track, industries, and stations into the home. Because homes contain smaller spaces for such fun, N scale becomes an ideal size for the hobby. The sheer number of locomotives, cars, accessory pieces, and scenery available in this scale offers something for beginners to advanced model makers. How big are model trains in N scale? An N scale train is sized at 1/160, which means that one scale foot equals 160 real-life feet. You can wrap your entire hand around a model locomotive because N scale locomotive models average about 3 or 4 inches long. In contrast, HO scale is at 1/87, which allows you to hold a locomotive in one hand, and O scale is at 1/48, which requires two hands to hold a locomotive. N scale easily allows you to put an entire railroad on a shelf. You can also run a longer train. What do you buy to get started? An easy way to get started is to buy a complete N scale train set that will typically contain a locomotive, several freight or passenger cars, enough track to make a complete loop, and a power pack. Such sets are easy to set up and let you have fun running a consist round and round. While a set can act as a foundation for a more advanced permanent layout, its generally designed to be temporary, so you can conveniently put it away when youre done. Whats the difference between DC and DCC? A train set or locomotive may be unmarked or have the term DC, which stands for direct current. This means all the locomotives on the track get the same amount of power and run in the same direction. DC power is perfectly fine if youre running just one train because it simplifies wiring and control. DCC stands for digital command and control, which puts a computer chip inside the locomotive to regulate power and direction. DCC trains are more sophisticated in that you can have several locomotives running on the same track at different speeds and in different directions. In addition, trains can have special effects like lighting and sound. Some programming and wiring knowledge is needed to use DCC model trains. How do you expand a set? To advance in the hobby, you can expand your layout with more track, locomotives, cars, and accessory items. To narrow down your choices of what to buy, think about whether you want your model layout to focus on freight, passengers, or a bit of both. Think of the era and types of trains you want to run. Before the 1930s, trains ran on steam. From the 1930s to about the 1950s, both steam and diesel locomotives were used, and since the 1960s, diesel locos are in command. 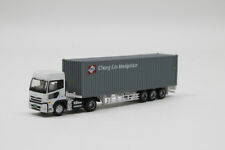 You can also decide on the areas and operations you want to model, such as hauling lumber from scenic forests to lumber mills or moving people from a small town to the big city.